disseminate and strengthen paganism--a role that has hitherto been little appreciated or studied. The local traditions of Asia Minor, Egypt, and the Near East survived in most cases by sharing common forms of expression with the Christians. Hellenism clearly allowed late pagans of widely differing traditions to communicate with each other. At the same time it gave to both Christianity and Islam a pagan context that enjoyed much greater public recognition then than now. 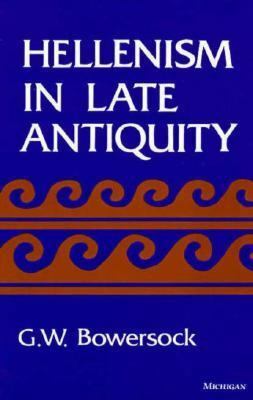 And so the author shows that Hellenism illuminates the wholeness of the late antique world in the East, the interaction of its paganism and its Christianity. Dionysus and Christ flourished together. ". . . Bowersock has given us a new unifying perspective for the turbulent religious history of four centuries--the idea of a common cultural medium within (and against) which differing religious traditions evolved and inter-penetrated." --New York Times Book Review ". . . a formidable achievement . . . [an] elegant and powerfully original book." --Times Literary Supplement G. W. Bowersock is Professor of Ancient History in the School of Historical Studies, Institute for Advanced Study, Princeton, New Jersey.